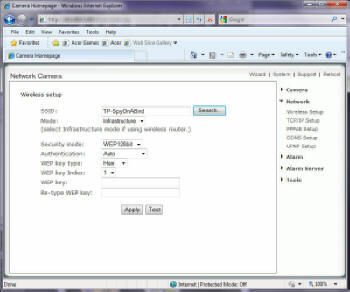 How can I check if I used the correct security settings for setting up my wireless camera? 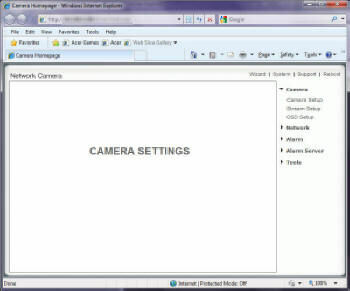 With the camera plugged into your router, access the home page of the camera. Click on Network to access the network settings. 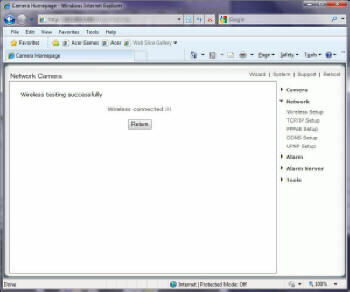 Click on Wireless setup to open the screen on the right. This is where you will enter the security settings for your router. You may have to change the setting from the “default” that is shown. Use the drop-down menus to pick the settings specifically for your router. You will also need your security key (password) for your router. The camera will test the wireless connection. Be patient, this may take a few minutes. If it is successful, you will see the the screen to the right. 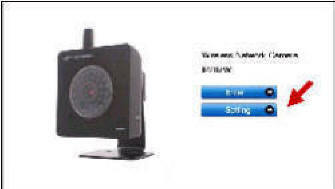 You can then disconnect the network cable and use the camera wirelessly. 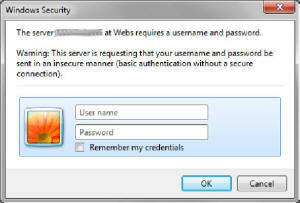 If you do not know your security settings, you can do a little trial and error here. 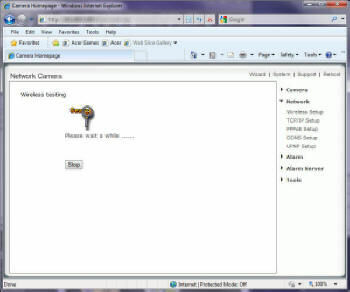 However, if you do not know your Key/Password, you will not be able to connect the camera wirelessly to your router.